The Fr. Augustus Tolton Scholarship is a QCES full-tuition scholarship (K-8) for one or more children awarded to one family registered at each of the four Quincy Catholic parishes (Blessed Sacrament, St. Anthony, St. Francis, and St. Peter) who have demonstrated financial need as determined by information provided by the family on the FACTS Application Form. Since the scholarships are need based, the names of the four families who are awarded a Fr. Augustus Tolton Scholarship will not be disclosed and will remain confidential. In addition to submitting the attached Fr. Augustus Tolton Scholarship Form by the Friday, Friday, April 12, 2019 deadline, families applying for the Fr. Augustus Tolton Scholarship must annually submit the Parish Pastor’s Verification Form, which is also attached, signed by their respective pastor verifying they are “actively practicing their Catholic faith” by Friday, April 12, 2019 . 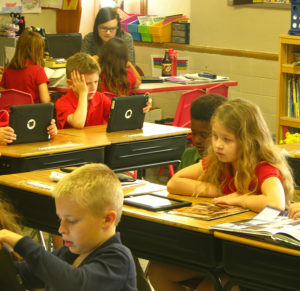 “Actively practicing their Catholic faith” will be defined as giving of one’s time, talent, and treasure, to the extent possible; attending weekly Mass as a family; and any children of elementary school age, if not already attending one of the four Quincy Catholic Elementary Schools, are enrolled and actively participating in their parish’s PSR program. Families applying for the Fr. Augustus Tolton Scholarship will be required to fill out the scholarship application form and FACTS form on an annual basis by the specified deadlines, and continue to meet the established financial eligibility criteria each year in order to continue to receive the scholarship. Failure to annually submit the required Fr. Augustus Tolton Scholarship Form, the FACTS Form, and the Parish Pastor’s Verification Form by the stated deadlines will result in a family automatically becoming ineligible for the Fr. Augustus Tolton Scholarship. If all eligibility requirements are met, including continued demonstration of financial need, the family will continue to receive the Fr. Augustus Tolton Scholarship until all elementary school-age children in the family have completed the 8th Grade, provided the children are continuously enrolled in school and there is no lapse in children from that family enrolled in the school, and provided there is continued funding for the full tuition scholarship by the designated donor. When the last elementary school-age child of a family receiving a Fr. Augustus Tolton Scholarship completes the 8th Grade at one of Quincy’s four Catholic elementary schools, all scholarship obligations will cease and the scholarship will then be awarded to a new family from the same parish based on the same eligibility criteria outlined above. The Fr. Augustus Tolton Scholarship is for tuition only, and may not be used to pay any other school fees including the Instructional/Registration Fee required for each child, which a family receiving a Fr. Augustus Tolton Scholarship will be required to pay by the specified deadline. Failure to pay any fees, other than tuition, to the Catholic school in which they wish to enroll their child(ren) by the specified deadline will result in a family’s automatic ineligibility for the Fr. Augustus Tolton Scholarship. All other tuition assistance for which a family may be eligible (i.e., a $500 Baptism Voucher for Kindergarten Tuition and/or a tuition credit from the Gene Grawe Fund), would be applied first, and the remaining tuition balance would be covered by the Fr. Augustus Tolton Scholarship. Scholarship applications will be available at the start of the QCES registration period each year, and must be completed and returned to the Executive Director of the QCES Foundation by one- month from the date applications become available of each year. Families applying for the full tuition scholarship will be notified by June 1st, of each year regarding their status. If there is no family from a particular parish that applies for a full tuition scholarship that has demonstrated need, as determined by the FACTS form, the scholarship for that particular parish will be awarded to another family meeting the specified criteria, including demonstrated financial need, regardless of their parish affiliation and based on the family having the next highest need in any parish. 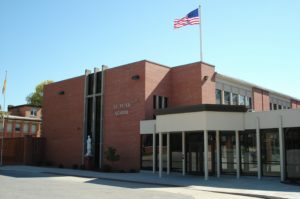 If a family withdraws their children from a Quincy Catholic Elementary School, for whatever reason, or fails to meet all of the eligibility criteria outlined above, the full tuition scholarship will be withdrawn and will be awarded to a new family from the same parish based on the same eligibility criteria outlined above. The QCES Foundation Board reserves the right to change and/or modify the criteria for the Fr. Augustus Tolton Scholarship at any time, as deemed necessary. 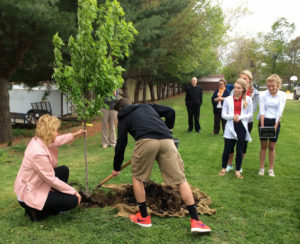 The QCES Foundation Newcomer’s Scholarship is a partially need-based full-tuition scholarship that will be awarded annually to one student in Grades K – 8, either Catholic or non- Catholic, whose family does not currently have any children enrolled in one of Quincy’s four Catholic elementary schools. It is non-renewable beyond the first year the student receives the scholarship. However, a QCES Foundation Newcomer’s Scholarship recipient will be eligible to apply for tuition assistance in subsequent years, and any tuition assistance a student may be awarded will be based on the financial need of a student’s family, as determined by the FACTS and the amount of tuition assistance available from the QCES Foundation for that particular school year. The QCES Foundation Newcomer’s Scholarship Application Form is available in the office of each of the four Quincy Catholic Elementary Schools and on each school’s website. Families applying for the QCES Foundation Newcomer’s Scholarship will be required to complete and submit the attached QCES Foundation Newcomer’s Scholarship Application Form by 4 p.m. on Friday, April 12, 2019. Application forms should be submitted to Paul R. Rittof, Executive Director, Quincy Catholic Elementary Schools Foundation, 2223 St. Anthony Rd., Quincy, IL 62305. For more information, contact the QCES Foundation office at 217-779-3157 or [email protected] Families applying for the QCES Foundation Newcomer’s Scholarship must mail the required FACTS Application Form, along with the necessary supporting documentation and the required processing fee ($27 using the online application) by Friday, April 12, 2019. The QCES Foundation Newcomer’s Scholarship recipient will be selected from among all those students, whose families do not currently have any children enrolled in one of Quincy’s four Catholic elementary schools, and who are applying for tuition assistance for the 2018-19 school year by completing and submitting the FACTS Application Form, AND who have completed and submitted the required QCES Foundation Newcomer’s Scholarship Application Form by 4 p.m. on Friday, Friday, April 12, 2019. The QCES Foundation Newcomer’s Scholarship recipient will be notified at the same time as all other applicants applying for tuition assistance, approximately June 1st, of each year. Since the scholarship is partially need-based, the name of the student who is awarded the QCES Foundation Newcomer’s Scholarship will not be disclosed and will remain confidential. All other tuition assistance for which a family may be eligible (i.e., a $500 Baptism Voucher for Kindergarten Tuition and/or a tuition credit from the Gene Grawe Fund) for the student for whom they are submitting the QCES Foundation Newcomer’s Scholarship Application Form, will be applied first, and the remaining tuition balance for the recipient will be covered by the QCES Foundation Newcomer’s Scholarship. The QCES Foundation Board reserves the right to change and/or modify the criteria for the QCES Foundation Newcomer’s Scholarship at any time, as deemed necessary. The Gene Grawe Fund Inc. was started to help families pay for Catholic Education. Since then over $959,000 has been distributed to help families pay for their Catholic Education! This fund was started in memory of Gene Grawe who died in 2003 living with Parkinson’s Disease for 17 years. In Ephesians 2:10 it says “It is God himself who has made us what we are and given us new lives from Christ Jesus; and long ages ago he planned that we should spend these lives in helping others.” Dad spent his life helping others and it gives me great pleasure to do the same. When we serve others, we are serving God, and my dad was a great example to me. I am proud and honored to be carrying on his legacy. The Gene Grawe Fund sells gift cards for groceries, gas, landscaping, prescriptions, catering, restaurants, hotels, airlines, cruises, department stores, home improvements, etc. The amount that you pay for the card is the amount that you receive. There is no additional cost to you. You get what you pay for! To view a current merchant list, please go to shopwithscrip.com or click here. You may print the list so you may have it for future reference. All of the merchants listed are available to get through The Gene Grawe Fund. In addition, the local merchants are listed here. Please thank these merchants when you are shopping there! Many of you have taken advantage of the Shop with Scrip program. You may go to shopwithscrip.com & register using 465394EF8571 as the Gene Grawe Fund code. Many of the gift cards are reloadable or also able to print in minutes or have on your phone so they can scan your phone. You may place an order & pay with presto pay which deducts from your checking account or place an order & pay the Gene Grawe Fund & then print your cards or pick up your order. This is very convenient. People have been able to get this in minutes for last minute shopping or dining out! If you are not participating in this you are really missing out on money off your tuition. These gift cards are available year round. These cards are only available in the lobby of the Church of St. Peter located at 2600 Maine in Quincy. Just enter the door to the right of the main doors & you will see our office. Hours are 7:30-5:00 Monday through Friday with Thursdays until 7:00. Saturday cards are available 9:00 -1:00. And yes we are open in the summer. Distributions will be calculated according to the Scrip Agreement. The possibilities are endless! Please make sure you sign the Scrip Program Agreement which explains the distributions along with the Registration form for your family to be eligible for the 2019-20 school year. We have children with same names so make sure you put your child’s first and last name on the memo of your check. Make sure you tell whoever is selling the cards to credit your family, using the child’s first & last name. You can really make a difference in what you pay for tuition next year! Let’s live our lives helping others. Remember, we are called to help each other and when we help others, we are serving God.